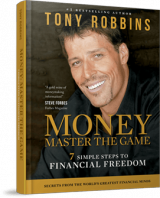 Here are my notes on the book “Money Master the Game: 7 Simple Steps to Financial Freedom” by Tony Robbins. This can be a bit annoying at times. But that’s just his teaching style. He knows that for the important bits to stick in your head, he needs to repeat them.